The awesome -BLACK- Harlequin 128K rev 2D DIY kit! 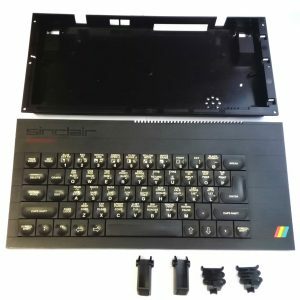 The Harlequin rev 2D is a completely compatible ZX Spectrum clone, but without the ULA. It’s built up completely of parts that can still be obtained easily. 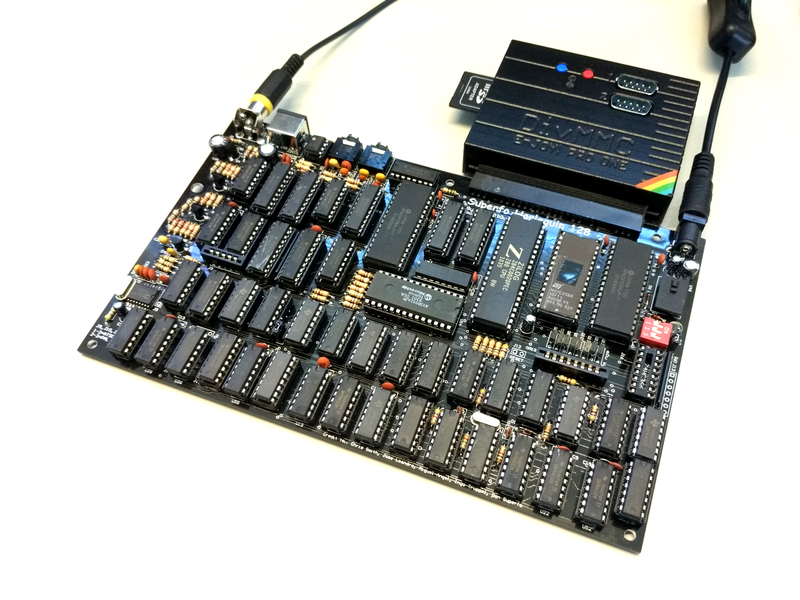 You can build your own complete ZX Spectrum Toast Rack (clone) yourself! 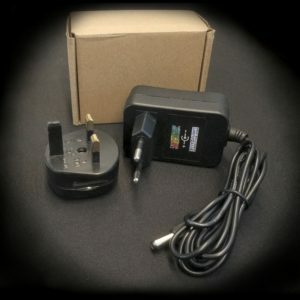 The Harlequin kit consists only of through hole parts, making soldering easy (the one SMD part is already presoldered). – some patience! The kit will keep you busy for several hours. The included comprehensive assemly manual includes some important hints and lots of instructions. 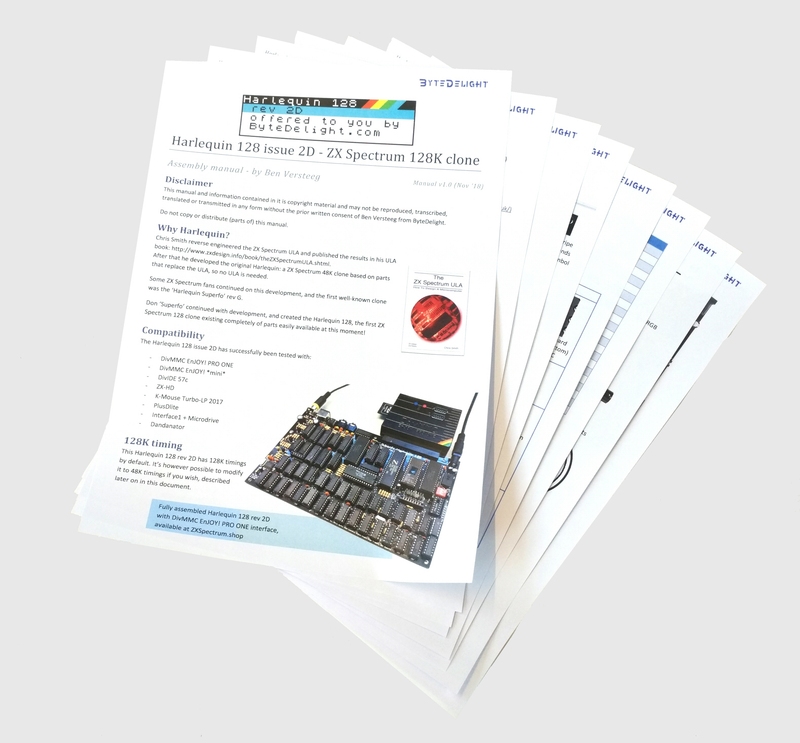 The ByteDelight complete and comprehensive 16 page DIY assembly guide to the Harlequin rev 2D! The discrete parts are packed in bags with sequential numbers corresponding to the manual, and the bags also show the part numbers corresponding to the PCB.
! 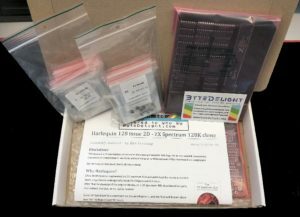 28C256 is incompatible with this Harlequin board ! 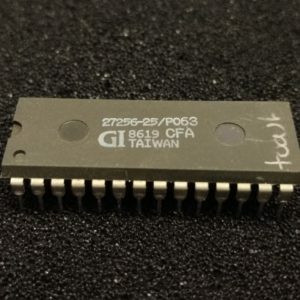 ByteDelight has a small stock of original ROMs, check out the webshop – we’re not allowed to sell (E)EPROMs with ZX Spectrum ROM. 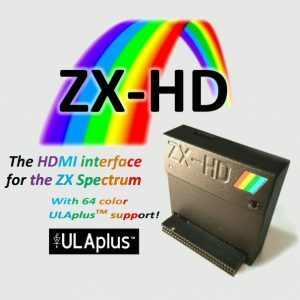 Instead of composite video or RGB, you can now use HDMI with the ZX-HD interface (that comes including HDMI cable), found in this web shop. To make loading games easy, choose one of our DivMMC SD card interfaces, such as the PRO ONE which also has dual joystick ports! This is an unassembled kit! The photos are for reference.